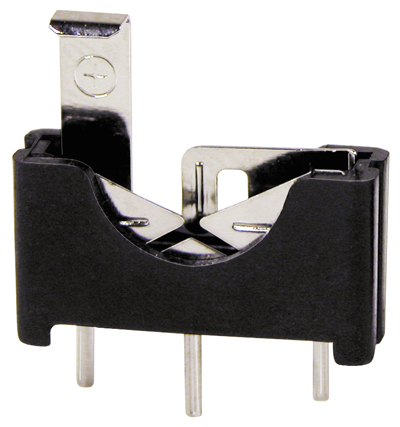 MPD is proud to introduce the world’s first vertical CR1225 battery holder, part number BS-1225-PC. Vertical battery holders are quickly becoming a preferred solution among design engineers, and this new part is a great space saver on increasingly crowded and smaller PCB’s. The BS-1225-PC, including an installed CR1225 battery, has a height of less than 14.5 mm and a footprint of less than 15.4 x 4.8 mm. The small and powerful CR1225 battery has a nominal capacity of about 50 mAh, but fits into a much smaller area than other typical coin cell batteries, such as the CR2032 which has nearly twice the radius.